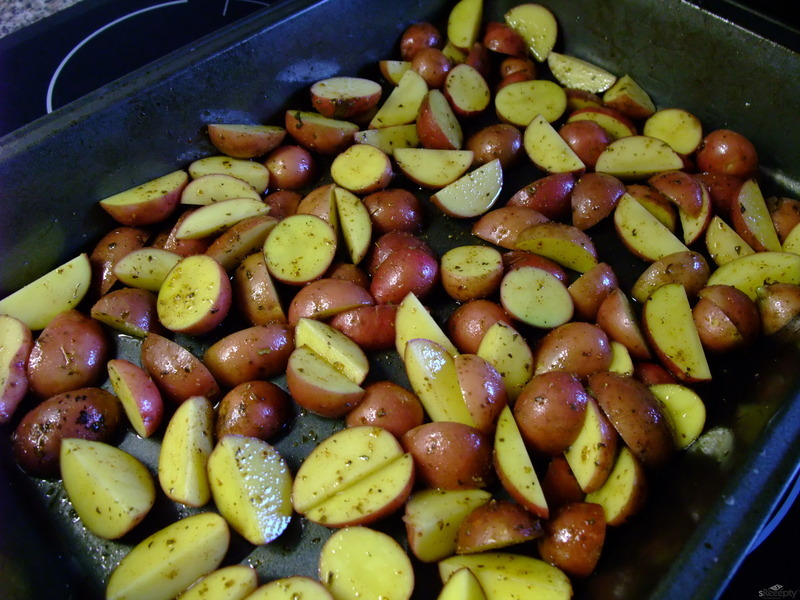 Cut wet potatoes in pieces (don´t peel them), mix with spices and put them on a buttered baking sheet. 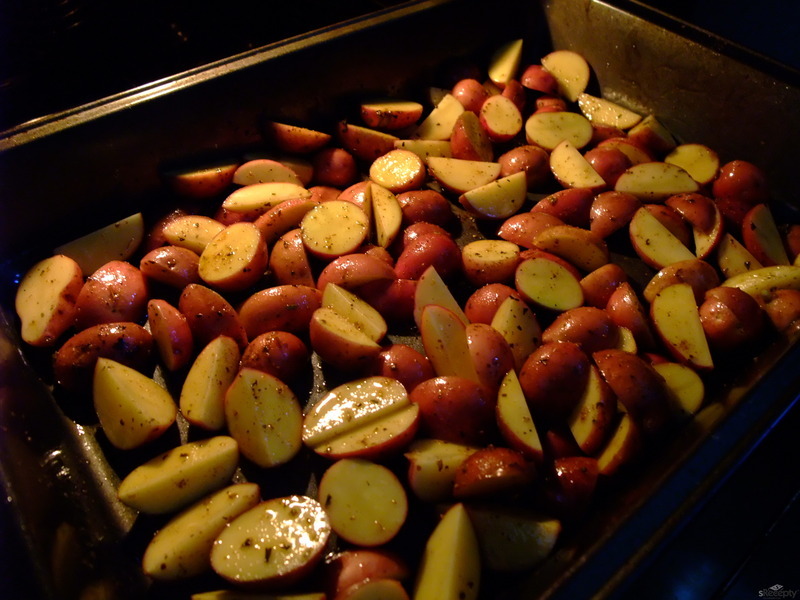 Cook about 20 minutes at 200°C and the, mix the potatoes again. 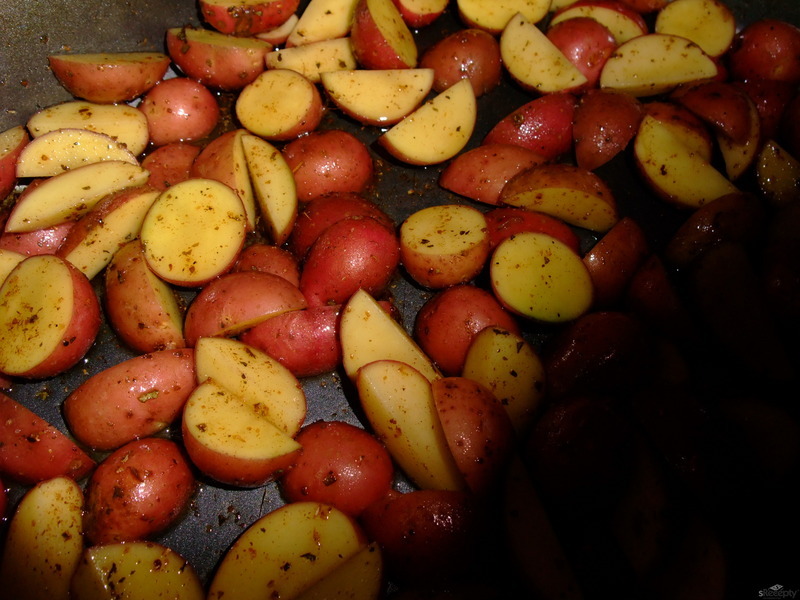 Cook for another 20-30 minutes.